About Translation: New book: "Role of Translation in Nation Building"
New book: "Role of Translation in Nation Building"
Ravi Kumar, president of the Indian Translators Association, and editor of a new book on translation, has just sent me the following announcement about an interesting new book: "Role of Translation in Nation Building". The book has been jointly published by Modlingua and the Indian Translators Association. The book talks about how translators have always played a pivotal role in social and cultural change in society and how they continue to play a major role in dissemination of the ever expanding knowledge and information available today. In this globalized world the demand for translation and language related services has increased many times and that translation is not only needed for the creation of national identity but it has also become an essential tool for keeping pace with the processes of globalization and localization. Many times we take for granted the translator's crucial role at the (intra) national level and we are less aware of their equally pivotal place as mediators at the international level and, potentially, in the creation of the even larger and comprehensive global supra national identities which seem destined to follow in the future. What role has translation played in Nation Building in the Indian as well as global context? How easy or difficult is it to view Translation and Nation Building as a well-gelling couple? Did translation play a role in Turkish modernism movements and its accession to European Union? What about Translation and Nation Building in the African, Arabian and Australian contexts? Do national conflicts and language politics actually impact literary works and translations? How can media play an effective part in bringing social changes by means of translations? How has translation impacted the discourse on nationalism and globalization in the Arab World? Students of language learning and its theory; translation studies; literature. Research scholars working in areas related to translation, nationalism, globalization, international studies, etc. Professors, teachers involved in teaching the above mentioned subjects/topics. True. 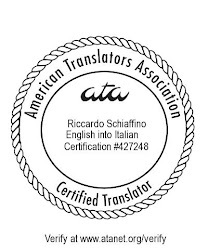 Translators are mediators, necessary ones, ones that aren't always seen because they are taken for granted. Good luck!